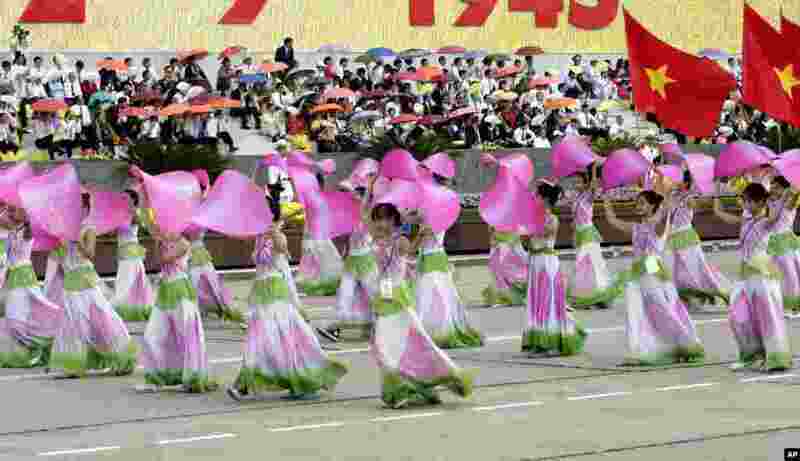 1 Vietnamese school children perform dances during a military parade in Hanoi, to mark the 70th anniversary of independence from France. 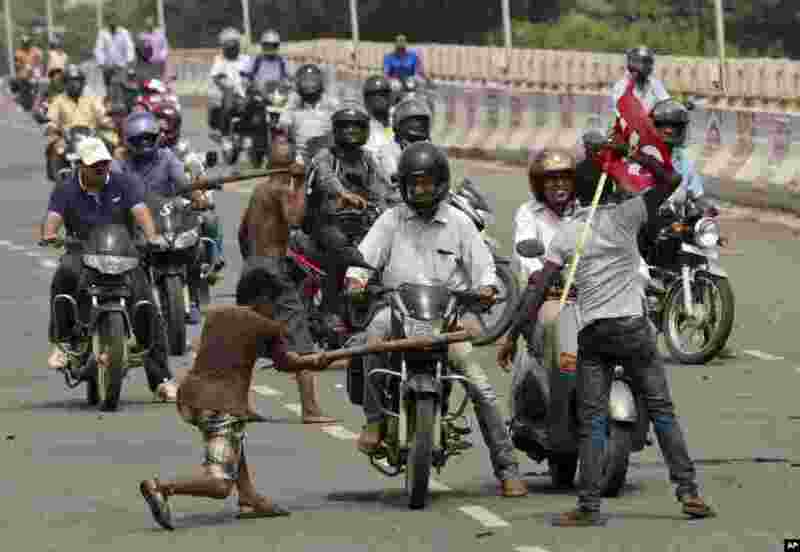 2 Activists of a trade union group stop motorcyclists to keep vehicles off the road during a daylong nationwide strike in the eastern Indian city Bhubaneswar. Ten central trade unions staged a protest against changes in labor laws and privatisation of Public Sector Undertaking’s (PSU) by the ruling Bharatiya Janata Party (BJP) government. 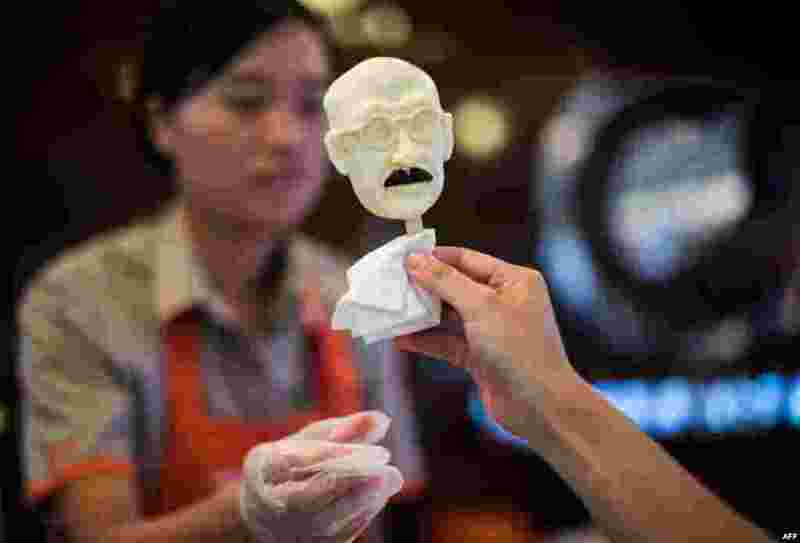 3 A woman sells an ice cream in the shape of executed Japanese war criminal Hideki Tojo at an ice cream store in Shanghai, China, to mark the 70th anniversary of the end of World War II. 4 Migrants crowd the deck of the Norwegian Siem Pilot ship sailing along the Mediterranean sea. 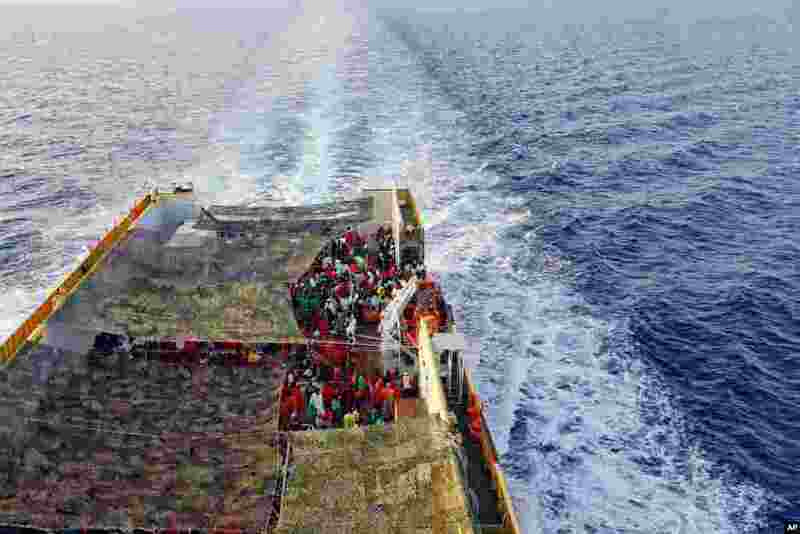 The Siem Pilot is carrying hundreds of migrants rescued in several operations in the Mediterranean sea, to the Italian Port of Cagliari.